Neil has consulted on hundreds of properties across the US and currently has almost 300, 000 acres under his supervision. His clients have won the prestigious “QDMA Outstanding Deer Manager Award” for their work on properties Neil has consulted on. Neil will visit your property and work with you to develop a management plan that fits your specific goals. During Neil's visit, he will walk the property with you and make recommendations on how to improve your wildlife habitat. A detailed management plan is included with each site evaluation. But it doesn’t end there, Neil and the rest of the NorthCountry Whitetails gang are always there to take your calls and help you with anything we can. A professional evaluation will save you time and money. A good plan is a prerequisite to a good property and a good property is a prerequisite to good hunting. Book your site evaluation today and take the guesswork out of your next property or habitat development project. Neil's consulting services are in great demand. He is scheduled from a wait list which is often months in advance. Please call early and we are looking forward to welcoming you to the NorthCountry family. 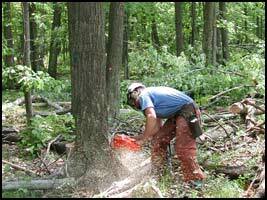 As many of you know, winter is a great time to do land consulting and the woods work that goes with it. Neil is very busy this time of year running his Argo across snow covered properties setting them up for landowners intent on having a "better season next year". Over the past 12 years of so he has done over 300,000 acres of site visits and reports. That's an awful lot of big deer and happy hunters. Many of you also know that when Neil visits your property a good deal of the cost is travel expenses. We hate to charge for travel but with the cost of towing a trailer and lodging being what it is, we have no choice. Or do we? On Site Evaluations (The Best Consulting in the Country) --Neil visits your property and looks at every nook and cranny. He handles the dirt looks at how things are growing and figures out how to best lay it out for growing and hunting big deer. You work along with him and have a chance to ask any and all questions. You receive a professional assessment of your property's strengths and weaknesses, a half dozen or so layout maps, and a full implementation plan to help you achieve your goals. The average size of the typical report is 15 pages. Total Cost $1500 plus expenses. *Long Distance Site Evaluation (A Great Start at an Affordable Price) Neil does a site evaluation based on maps, aerial photos, soil maps and samples and a series of phone interviews with the client You supply him with all the information you can get together on your property and he takes it from there. He evaluates your property, does a complete layout plan (overlaid on your aerial photo) and verbal feedback session. Neil has been working with aerial photography for years and can pick things up on maps and aerial photos that the average guy would miss on the ground. This product will not contain the detail or insight that an on site visit will yield but it will be plenty to get you started on the right path. He bills site evaluation consulting by the hr. The average cost of a long distance site evaluation is about $750 depending on client needs. 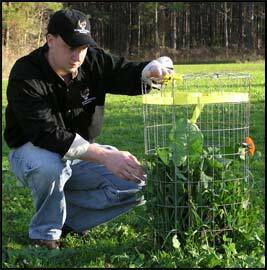 *Dial-Up Q&A ---(Pick Neil's Brain for Almost Nothing) If you would like to have Neil take a look at an aerial or topo of your property and consult with you on where to locate food plots, or what to plant where, or how to lay out your property to hold deer, or hang a stand, or a hundred other questions this can be done by phone as well. Here is how it works. You call Neil at 585 314 5583 and request a phone appointment. He will set you up with a time that works for you both and you take it from there. He may ask you for a map or a photo depending on what's on your mind. When you call in for the Q&A Neil will take your credit card and start the clock. When the call ends the clock stops and you are charged an hourly rate of $75 per hr. for his time and expertise. Want to save even more, get your hunting buddies on the speaker phone and share the cost of the call. One call can mean the difference between committing a costly mistake and getting it right or just give you something cool to do on a weekend. Minimum charge $75. Standard Questions -Keep on Asking- NorthCountry Whitetails has been taking calls, answering e-mails and offering helpful advice for over a decade now and we don't intend to change our policy; standard questions are answered "free for the asking". Our new programs are designed to let you tap more deeply into Neil's expertise without the cost of an on site visit. Over the years we've made thousands of friends by offering advice and solving problems over the phone and by mail and that's the way we like it. So keep asking those questions and we'll keep trying to answer them ---free of charge.